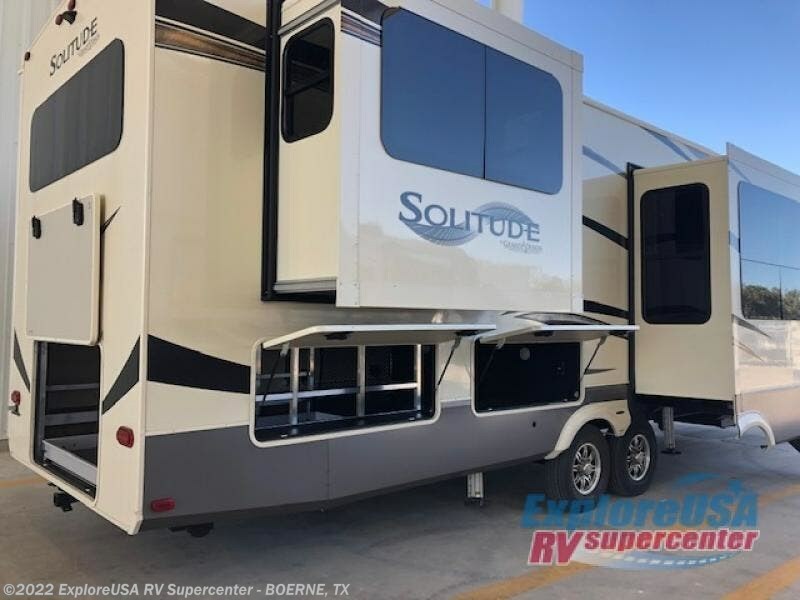 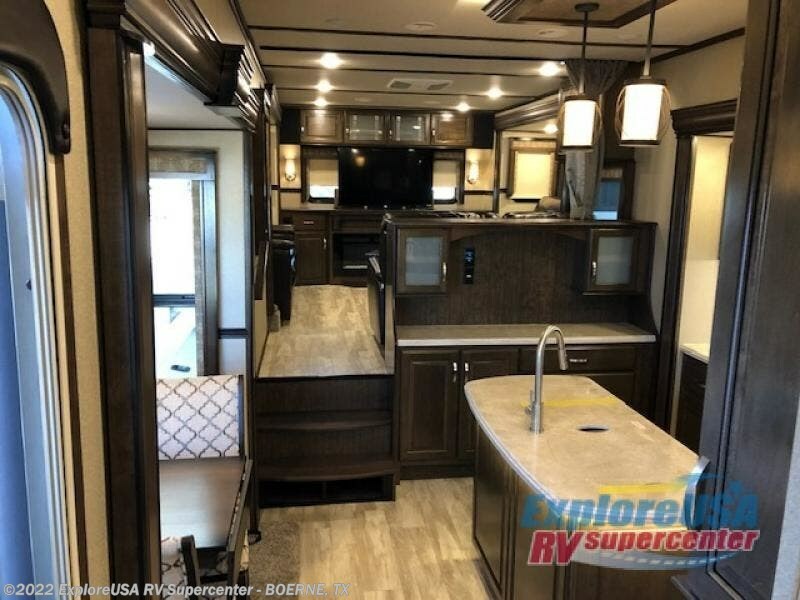 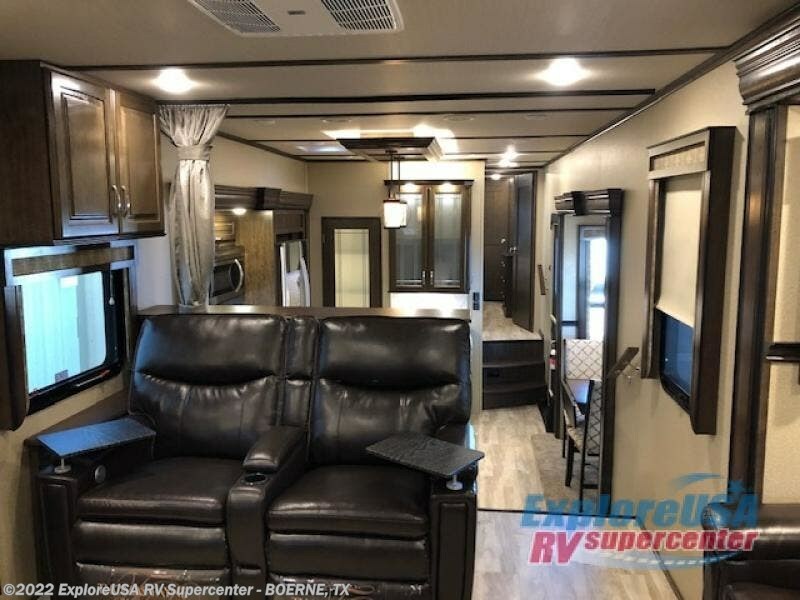 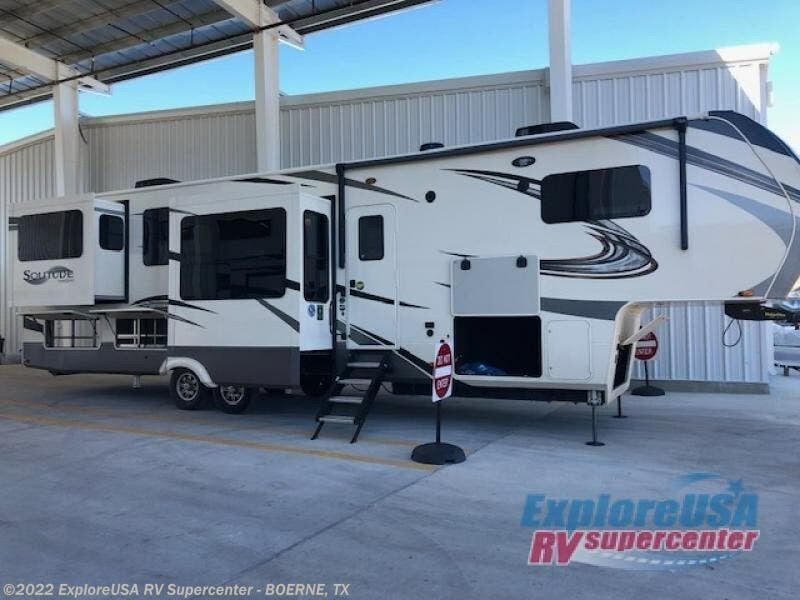 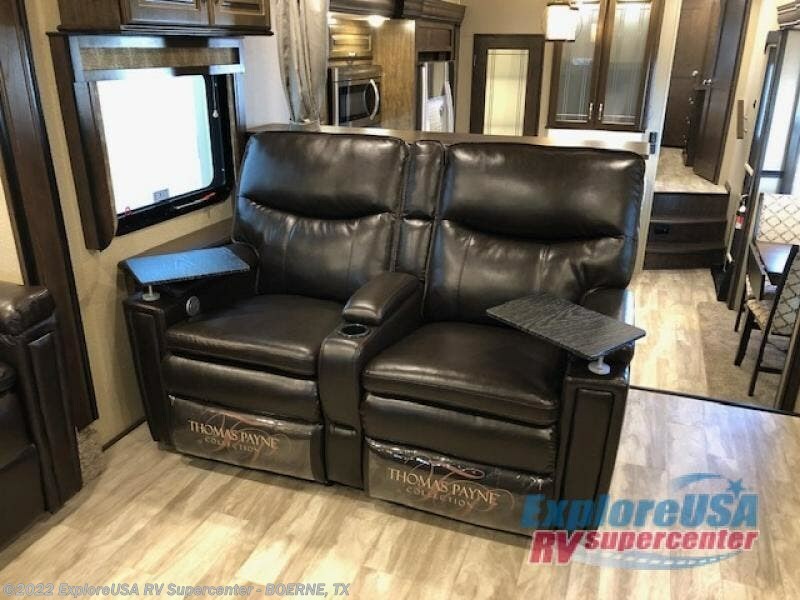 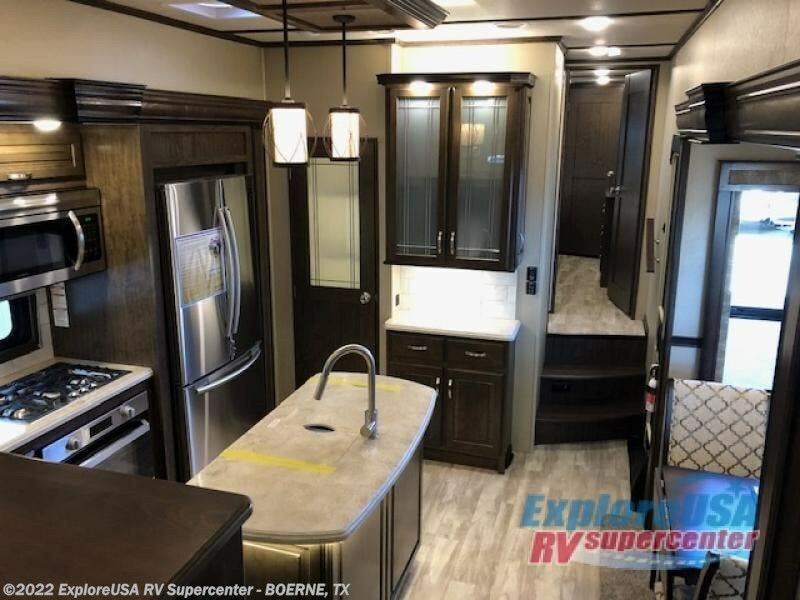 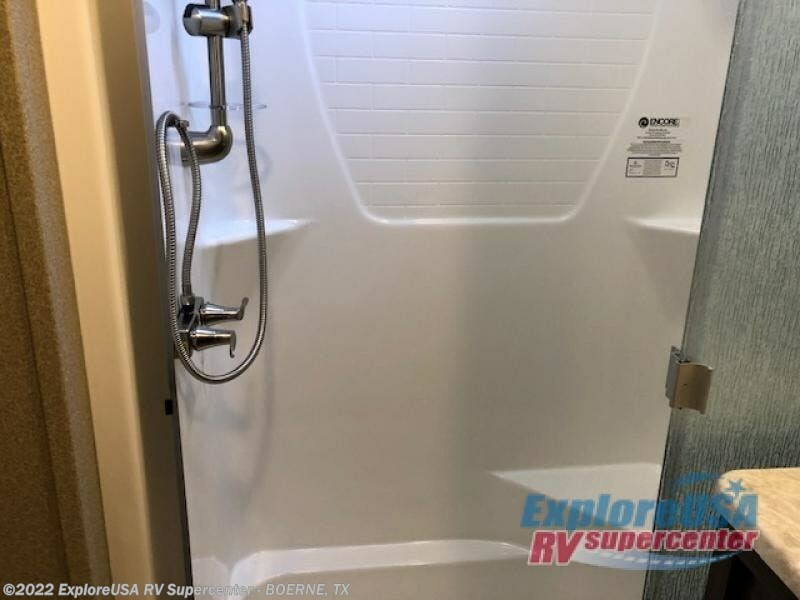 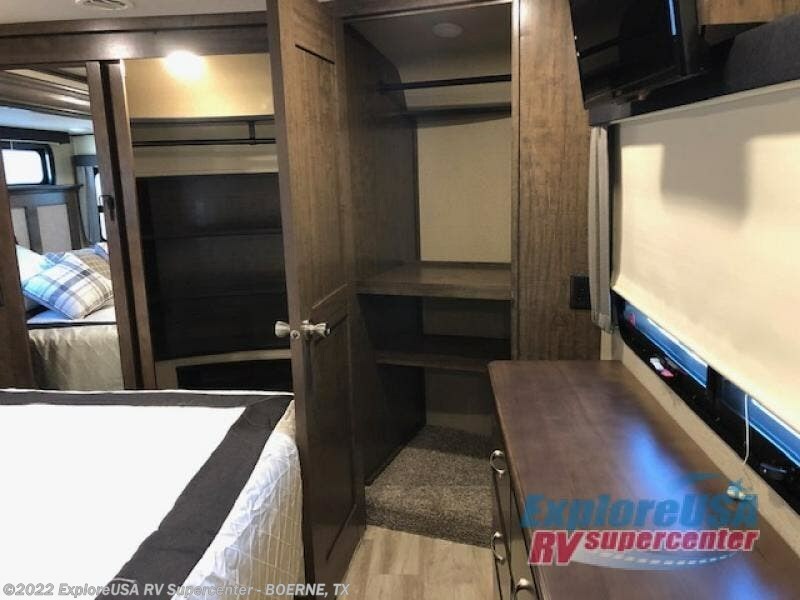 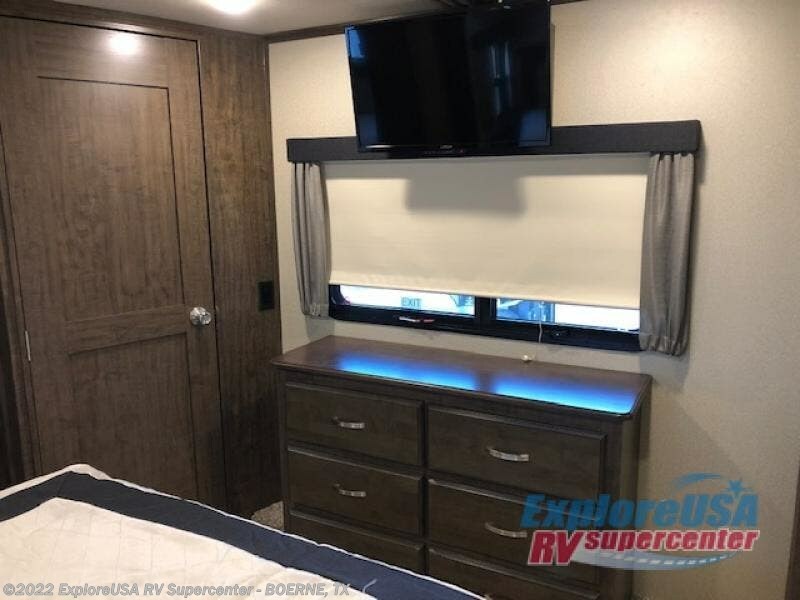 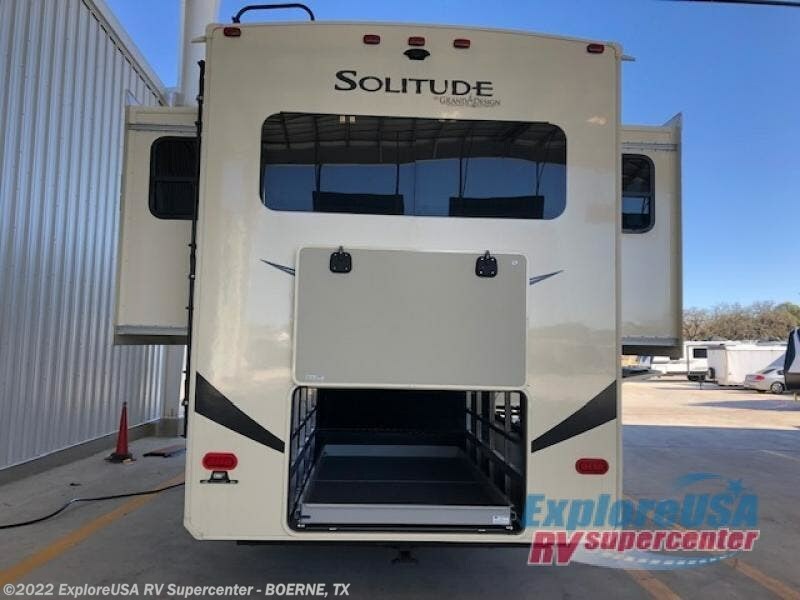 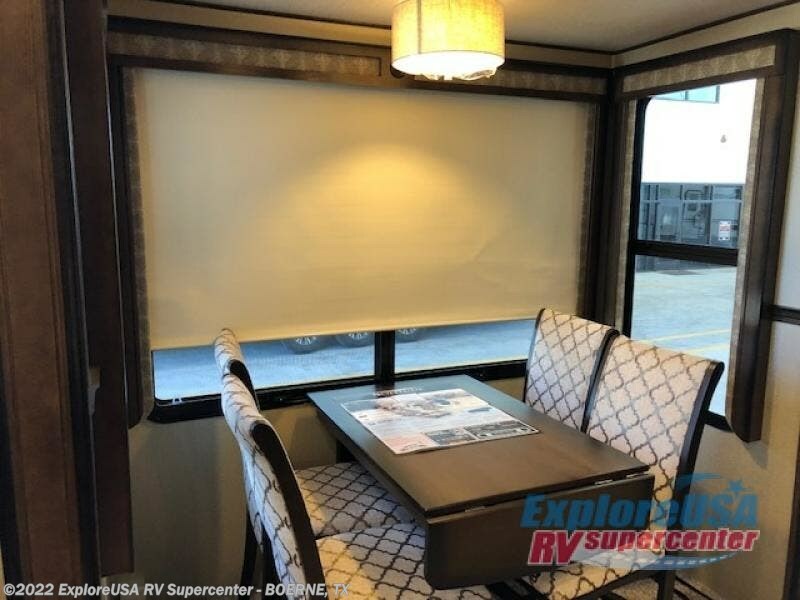 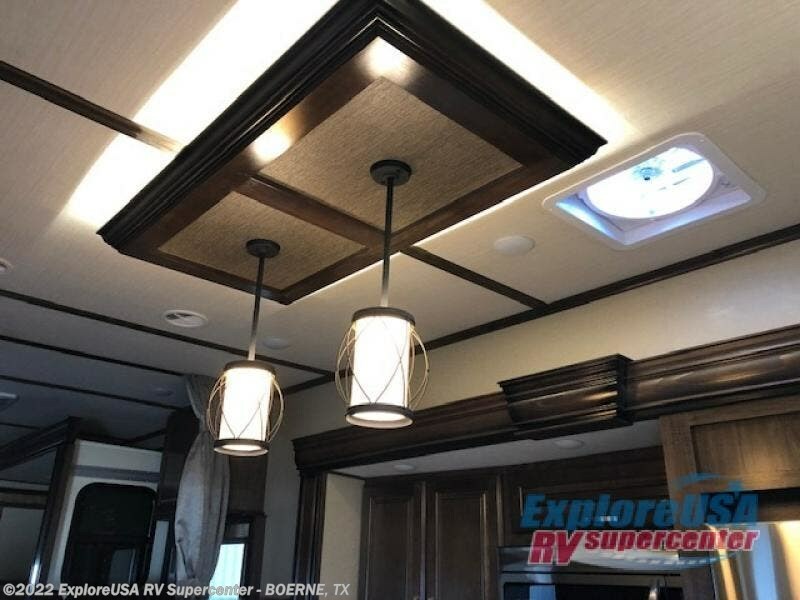 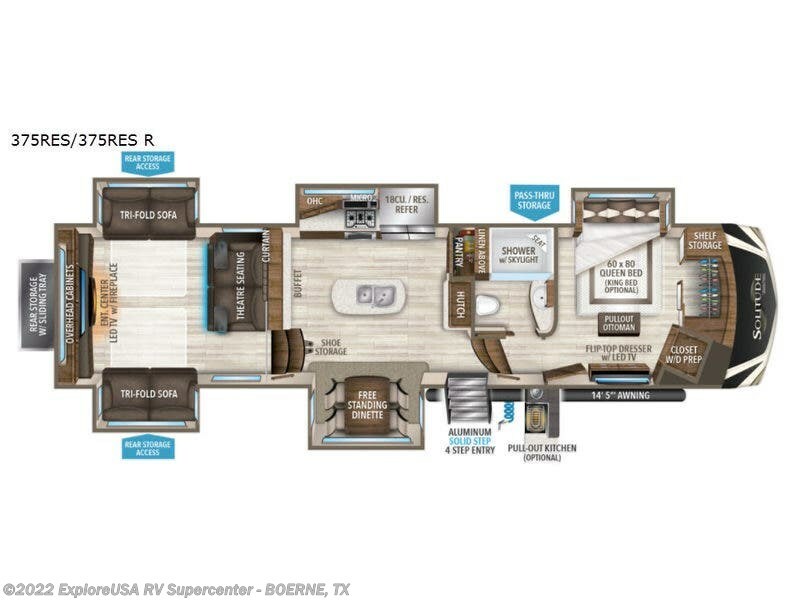 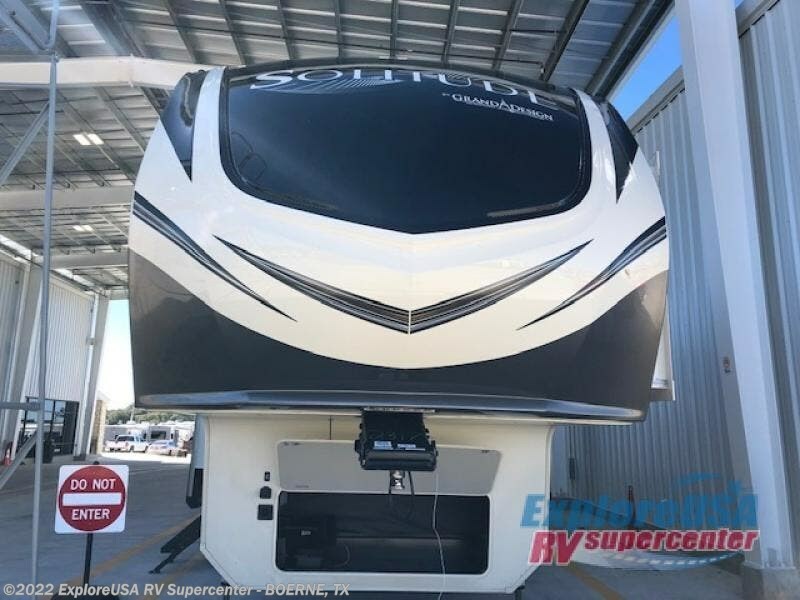 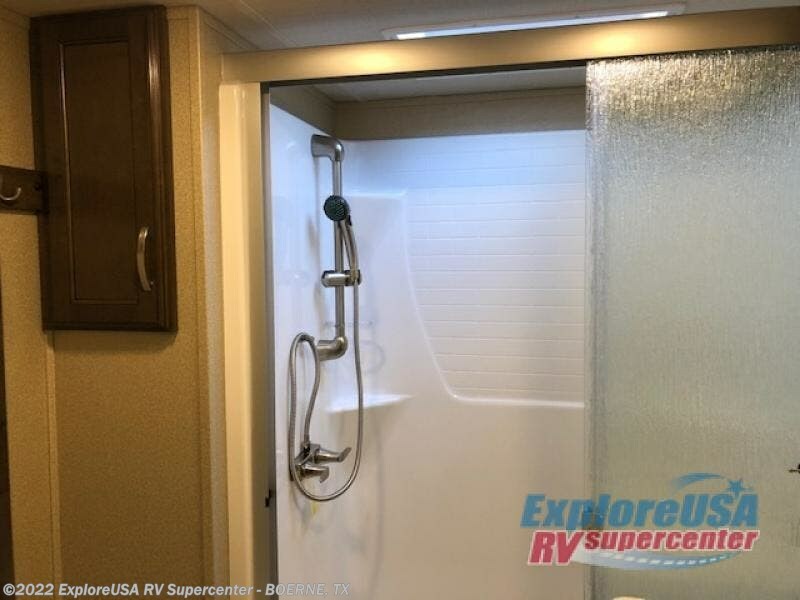 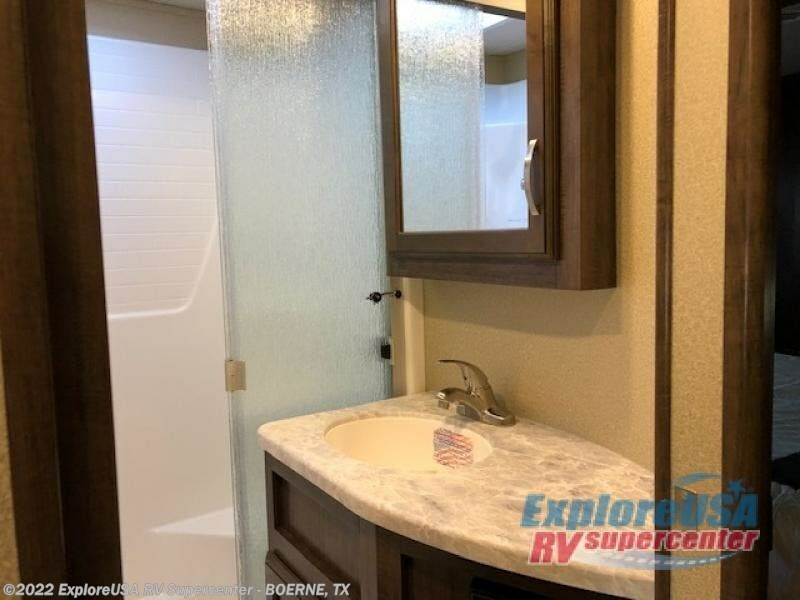 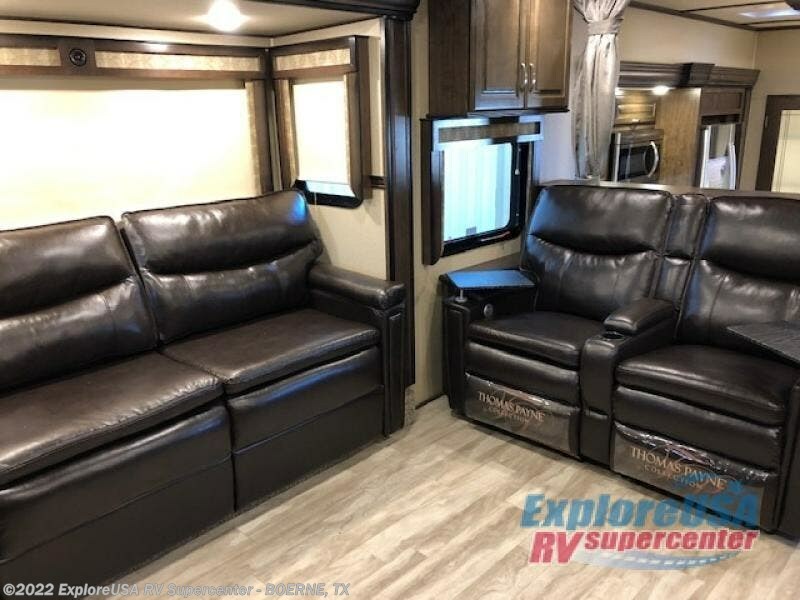 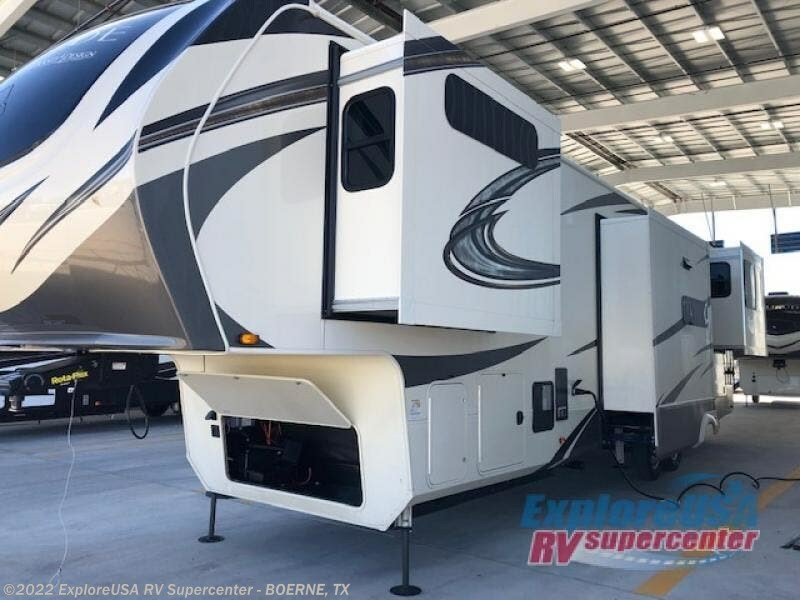 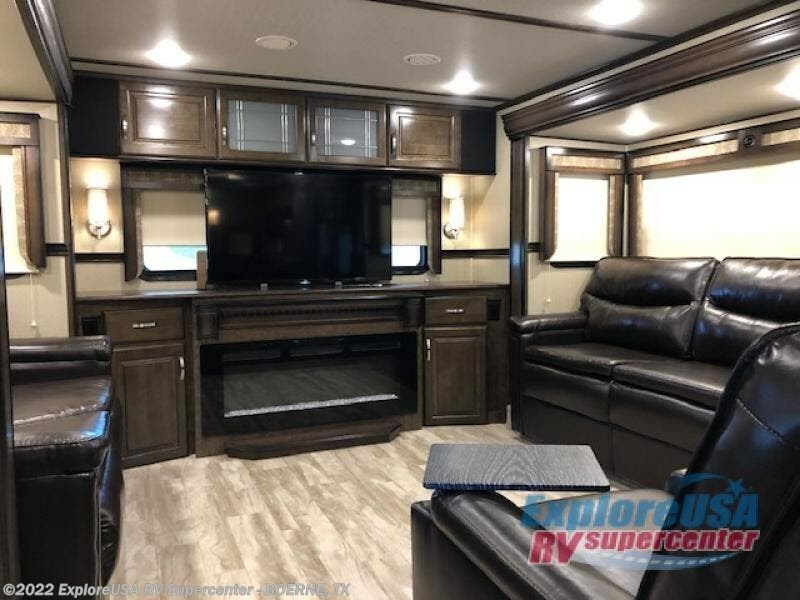 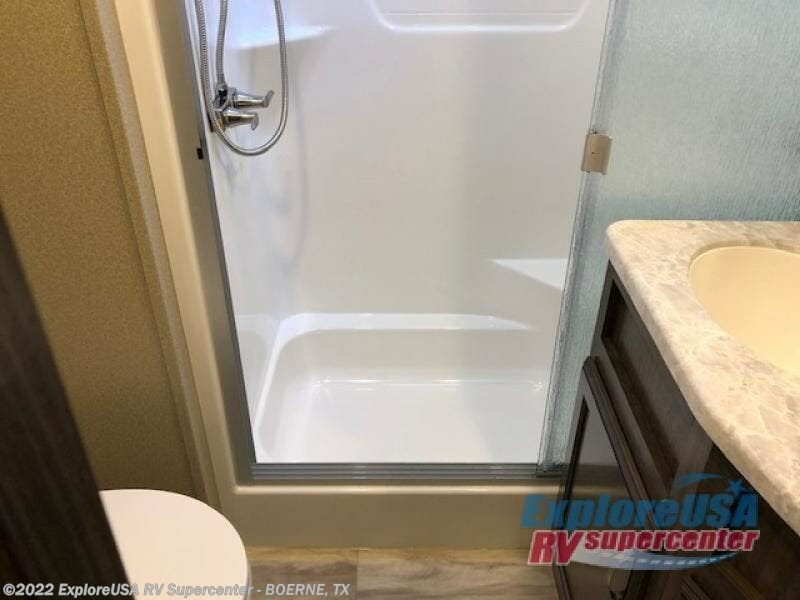 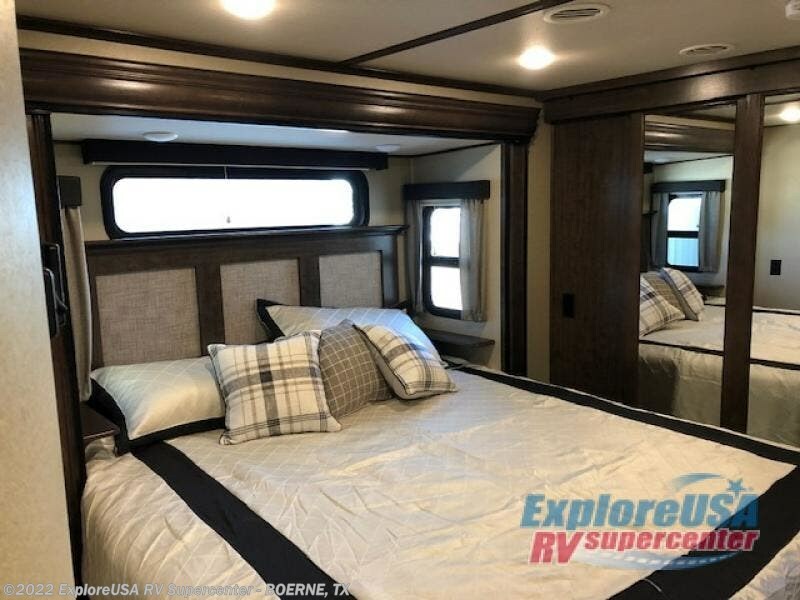 This Solitude 375RES R fifth wheel allows you to travel with all the comforts of home including plenty of interior floor space to move around, extra sleeping space for the kids or grandkids, and plenty of storage for everything you might need for an extended stay. 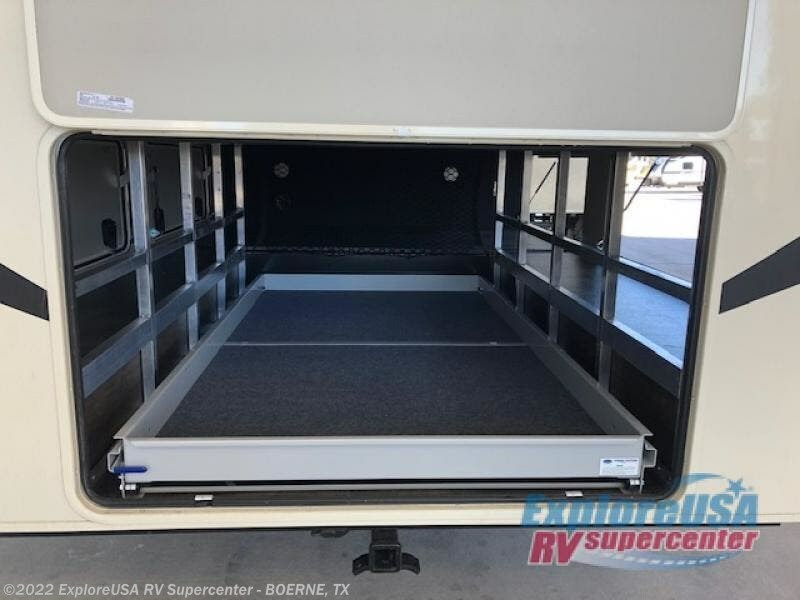 The unique exterior rear storage includes a sliding tray allowing easy access to the gear in the back. 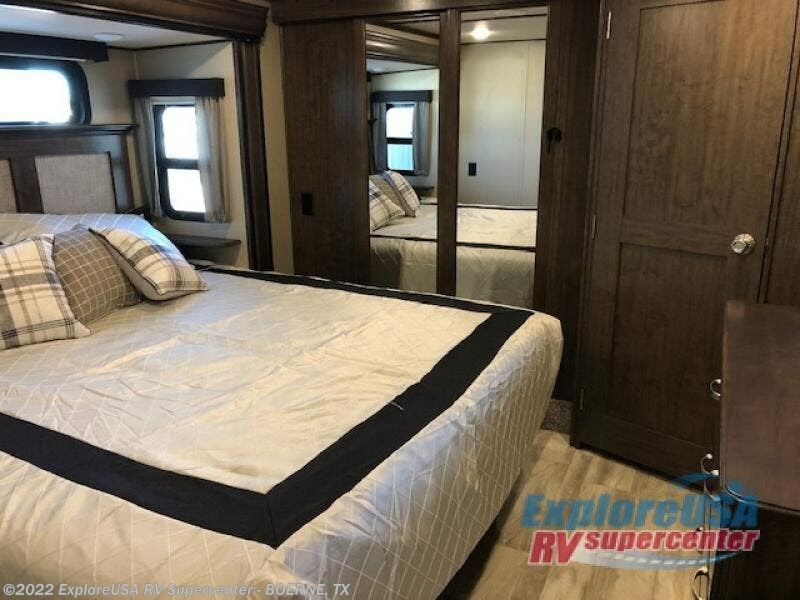 Inside, the front master bedroom will not disappoint with a pullout ottoman, flip-top dresser, and a TV to mention a few features. 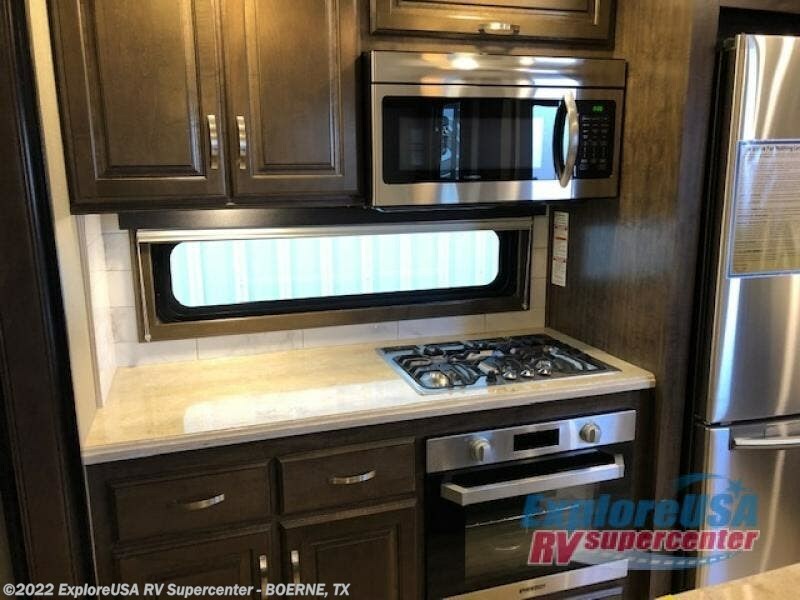 The cook will surely love making meals with the professional grade stainless steel cooktop, built-in oven and convection microwave. 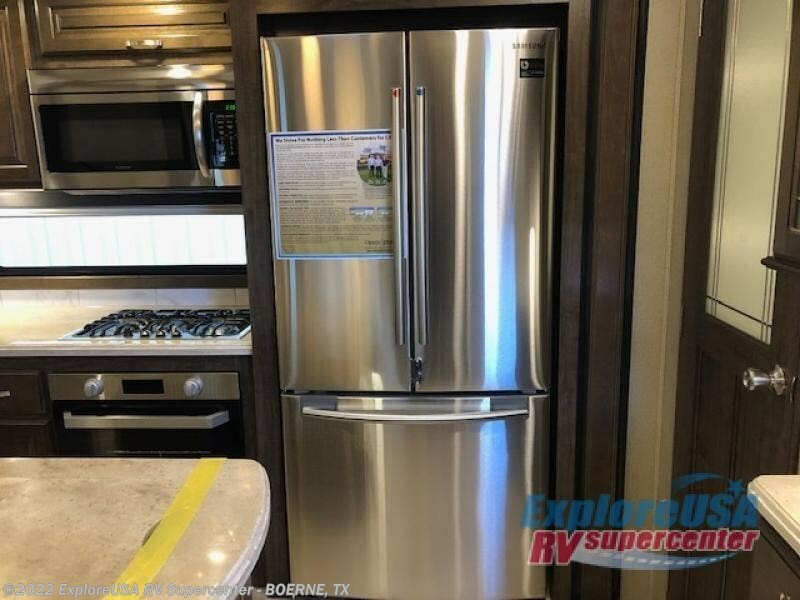 The popular kitchen island, stainless steel 18 cu. 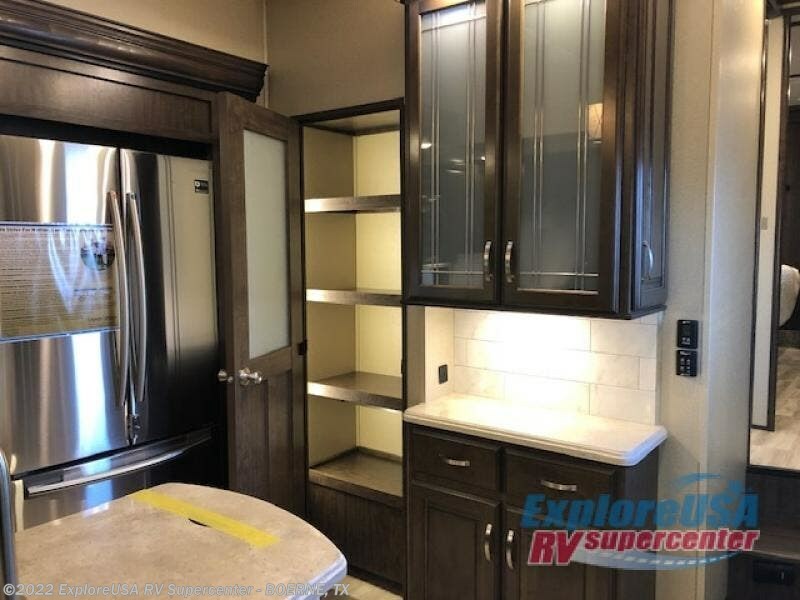 ft. residential refrigerator, and large pantry are sure to impress. 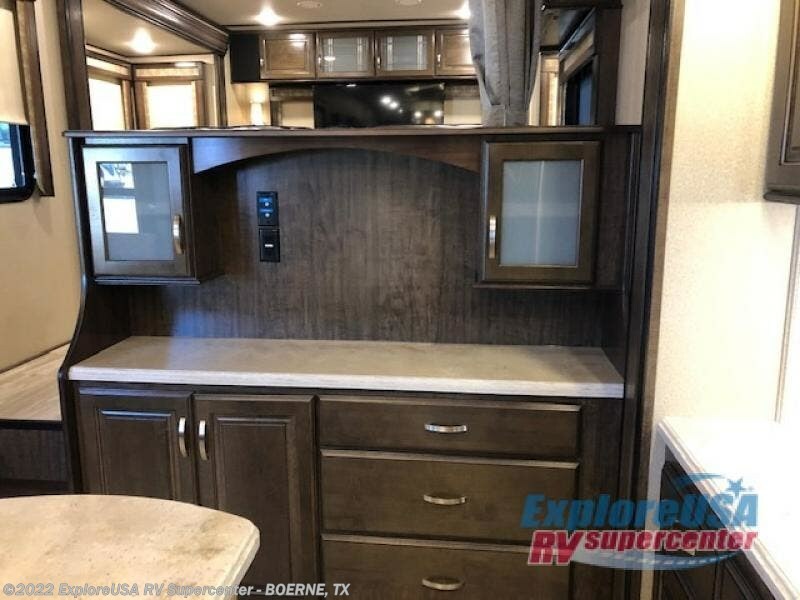 The buffet adds additional counter space to serve food or place your keys and things. 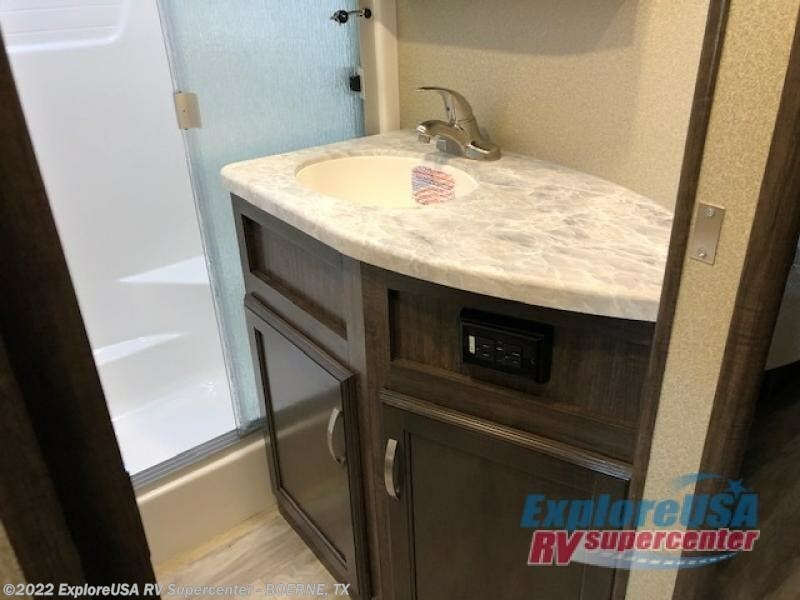 You might even decide to add a few options such as a washer and dryer to keep your clothes clean the whole time, a king size bed for more sleeping surface, or even a pull-out kitchen to make meals outdoors. 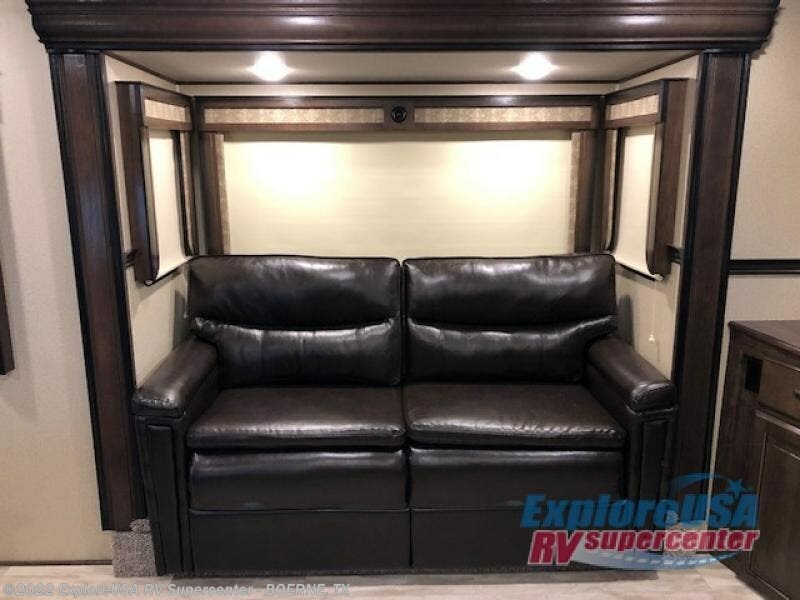 There are many features and plenty of space for everyone! 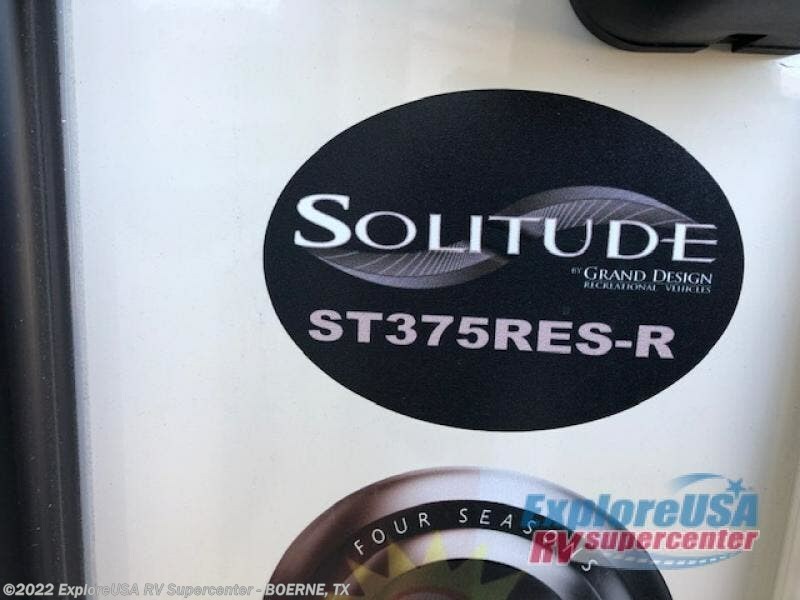 Check out Stock # B3264 - 2019 Grand Design Solitude 375RES R on granddesignsource.com!